Freedom Forum Institute > News & Commentary > Inside the First Amendment > School walkouts in the wake of ‘Parkland’ — protected by the First Amendment or not? On March 14, exactly one month after the Feb. 14 shootings at Marjory Stoneman Douglas High School in Parkland, Fla., students, teachers and administrators across the nation plan to walk out of their classrooms, at 10 a.m. in each time zone, for 17 minutes — one minute for each student and teacher killed in the attack. Another such event is scheduled for April 20, the 19th anniversary of the Columbine High School massacre in Colorado. More than 22,000 people have signed a petition pledging to walk out of their classrooms at 10 a.m. for the rest of the day. While some school districts may support or sign on to these protests, others have already announced that they will not. Needville Independent School District, about 60 miles southwest of Houston, has threatened to suspend any students who participate in walkouts or other protests that happen during school hours. Marches, walkouts and sit-ins are the embodiment of our core freedoms: the right to speak out, to assemble peaceably and petition our government for change. Such protests recall powerful moments in the civil rights movement, when energized groups of young people caught the nation’s attention and successfully pushed for social and political change. 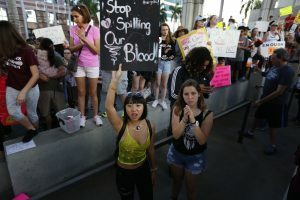 The student voices in the Parkland movement also call to mind the circumstances around the landmark 1969 Supreme Court decision Tinker v. Des Moines Independent School District, which also involved teens, schools and the freedom to protest. But here’s an early caution to those planning school walkouts and protests on school grounds: The Tinker decision and later court cases also ruled that while students have First Amendment rights, they are not as extensive as those enjoyed by adults. Their free expression rights can be curtailed by school officials if they can prove that the student action would “materially and substantially interfere” with education in the school, or interfere with the rights of others. In Tinker, the Supreme Court found that the three armband-wearing students could not be punished by school authorities, because their silent protest did not significantly disrupt education in the school. Would the same be true for students who participate in classroom walkouts? The answer is “it depends” — on district and state truancy policies, for example — because the courts have carved out exceptions to Tinker, citing the education mission of schools in comparison to society at large. Heading into these protests, students, parents and teachers should all understand the lengths to which their actions are protected by the First Amendment. For students: If your school district does not allow for participation in the walkouts, you could face penalties and punishment for disrupting the school day, violating school rules and potentially (although less likely) for intruding on the rights of students who do not walk out of class that day. You may decide that you are willing to incur those penalties, but remember to consider alternative methods of advocacy and protest as well. Sometimes civil disobedience — challenging the rules on matters of conscience and policy — is justifiable. But sometimes there are other ways to achieve the same goal. For parents: Take this opportunity to work collectively with other parents and your school leaders on the larger civic lessons around this growing youth movement. For school officials: You first face the decision of whether to forbid a walkout or to simply deal with the disruption caused by a walkout. (This decision might depend on whether students are planning a 17-minute walkout or an all-day walkout.) You then face the decision of whether or not to punish participants. Like the students, you should also consider that there may be another approach altogether. 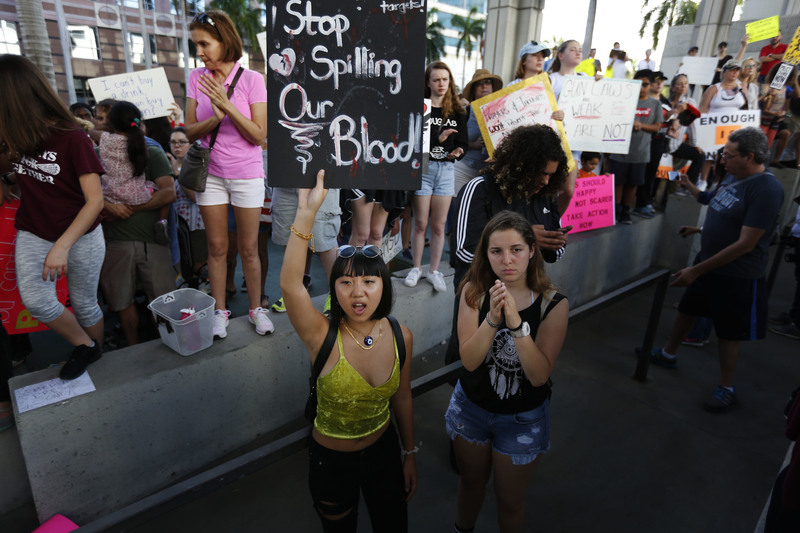 It is possible — perhaps in cooperation with students and parents — to turn the event into a teaching moment, in which all sides around the contentious, long-standing gun control debate are heard. Given that we live in an age where there is much concern that young people don’t understand the Constitution or support free speech, punishing them for exercising it seems counterproductive, even if the Tinker decision does give school administrators that ability. Holding discussions in advance of the protests, using NewseumED’s resources on student speech, petition and advocacy, can help students understand how democracy and representative government work, and become active and effective participants in civil society. Note to Rhodes: Political protest is a part of the history and governing process of the United States, from the Boston Tea Party protests to modern-day Tea Party marches and much more. It’s a part of Texas history too. Consider the Conventions of 1832 and 1833, where future Texans gathered to seek a rollback of laws and taxes imposed by the then-ruling Mexican government. In other words, how about a little less “sit down” in response to the planned student walkout, and a little more “let’s talk” about the importance of citizen engagement in a democracy. Gene Policinski is president and chief operating officer of the Newseum Institute. He can be reached at gpolicinski@newseum.org, or follow him on Twitter at @genefac. Lata Nott is executive director of the First Amendment Center of the Newseum Institute. Contact her via email at lnott@newseum.org, or follow her on Twitter at @LataNott. This entry was posted in Inside the First Amendment, News and tagged Education, First Amendment, free speech, Inside the First Amendment, student expression, student speech by Gene Policinski. Bookmark the permalink.